There is always an easy way to do any task and lifehacks help us ease our lives. 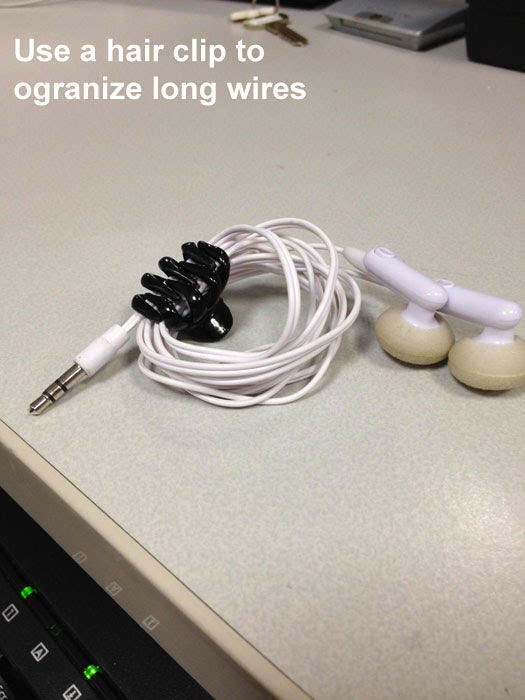 So today we will be presenting you some amazing and genius life hacks which will make your life comfortable. Check out the following 16 lifehacks and tell us which one is your favourite. 16. 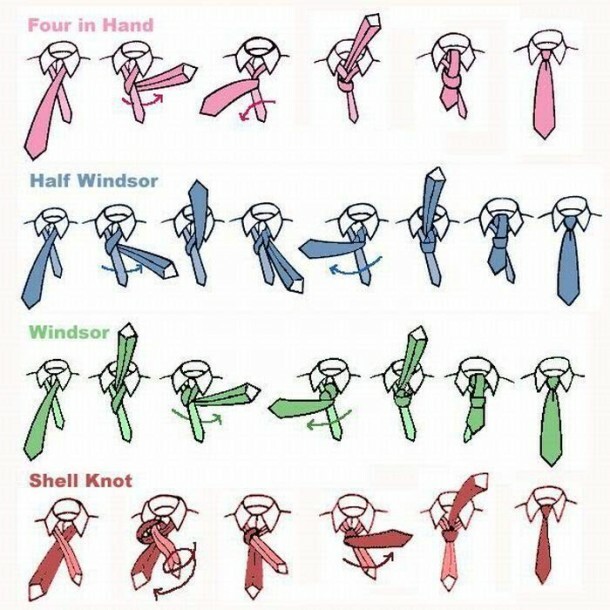 Knotting a tie is not a difficult job. Tying a tie is not a big deal, just follow the illustration and be thankful to these life hacks. 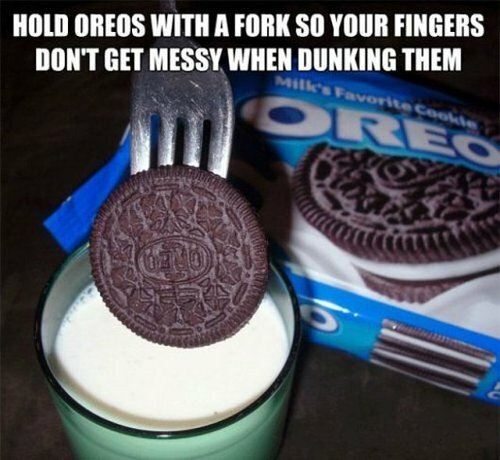 Use a folk to dunk your Oreo or any other biscuit, This will not create mess and will not make your hands sticky as well. Awesome, isn’t it? Follow the recipe and make your ramen yummy for your tummy. 13. Toothpastes are a little abrasive. 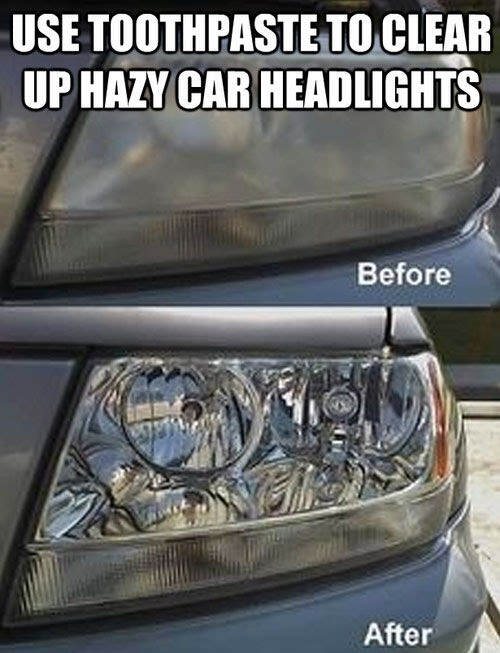 Use a toothpaste to clean your headlights to bring shine as it is good at filling scratches and polishing. 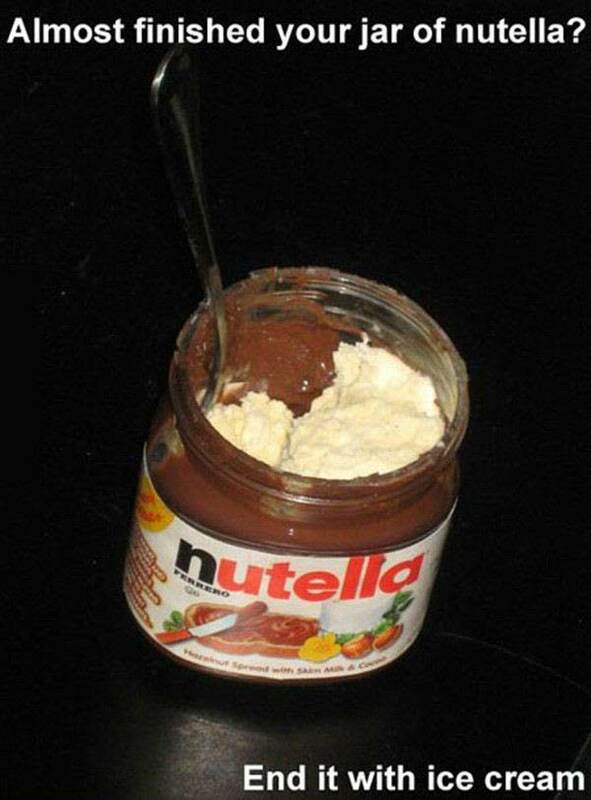 Add ice-cream to your Nutella jar when it is finished and then enjoy it. It will give pleasure to your tummy. 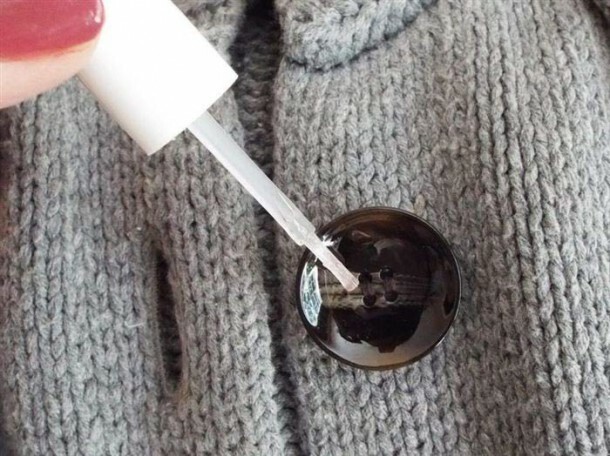 Apply a clear nail polish on the threads, it will prevent the unraveling of the threads and you buttons will also not fall off. The bread bag tags also functions as a salvage of flip flops. 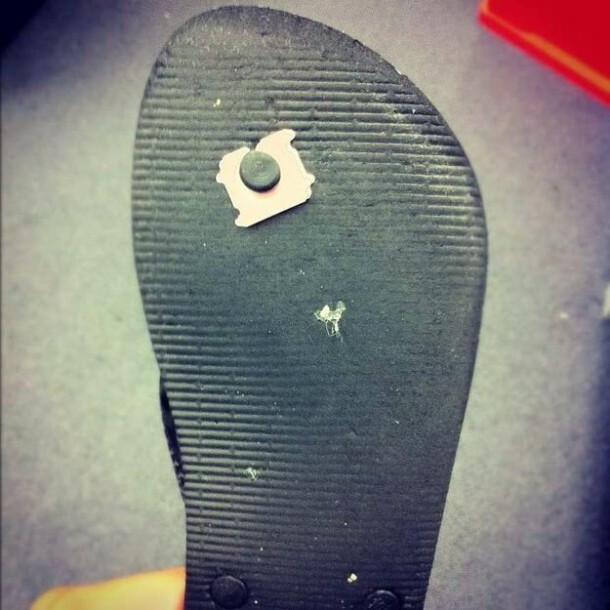 Follow this amazing hack to save your shoes. 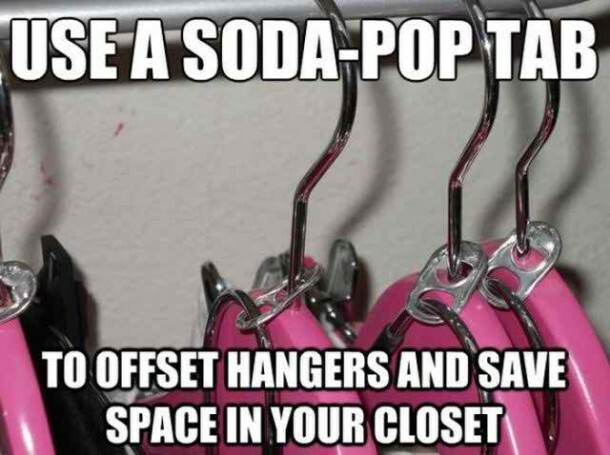 Soda-pop tabs helps you to off set your hangers and maximizes storage space in your wardrobe. 8. 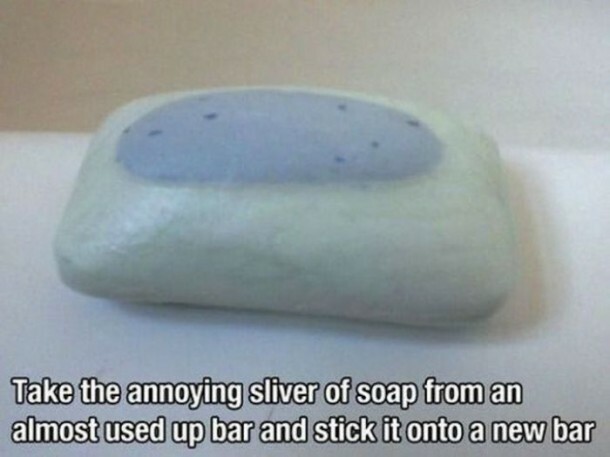 Re-use the silvers of soap. Do not throw the silver of soaps, just heat them up and attach them with the new bar of soap. 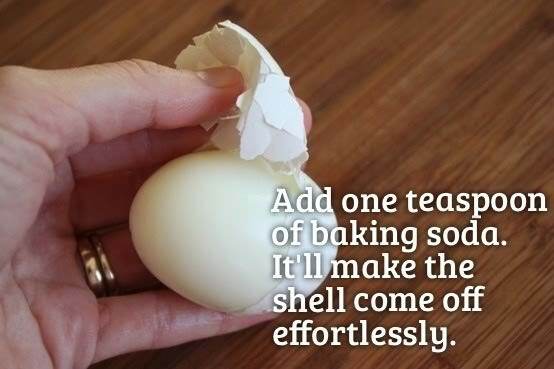 Adding a baking soda in the water while boiling the egg, will make easy to peel off it’s shell. For all the lazy men around, you can straighten your collars with the help of a straightener. Hair clips assembles the wires and keep them untangled. Genius isn’t it. 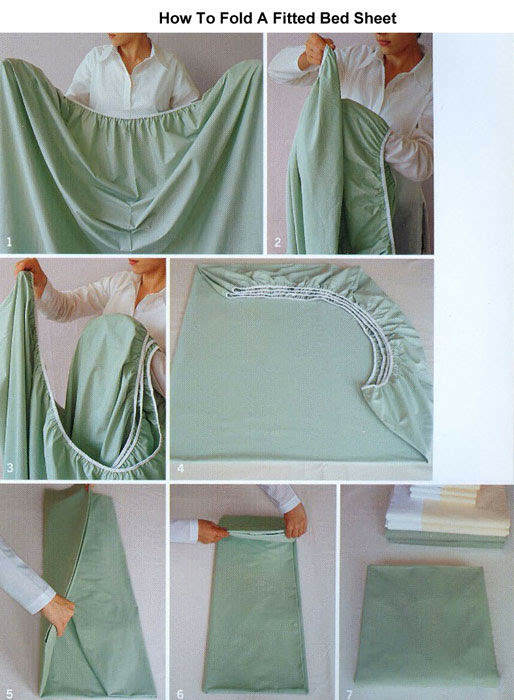 Follow the illustrations and pack your fitted bedsheets without a bulk. 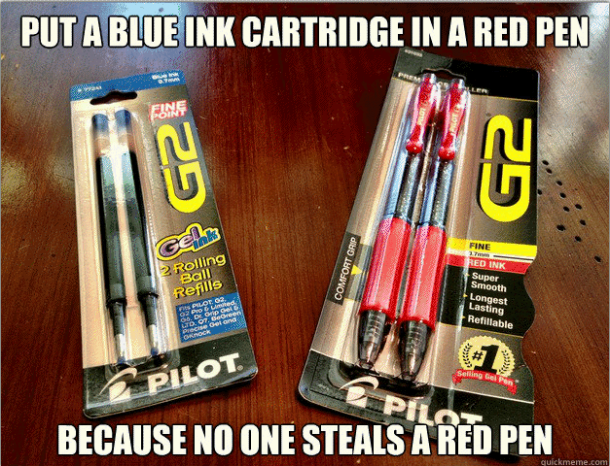 Exchange the cartridge of blue pen with a red pen, because every one asks for a blue pen. 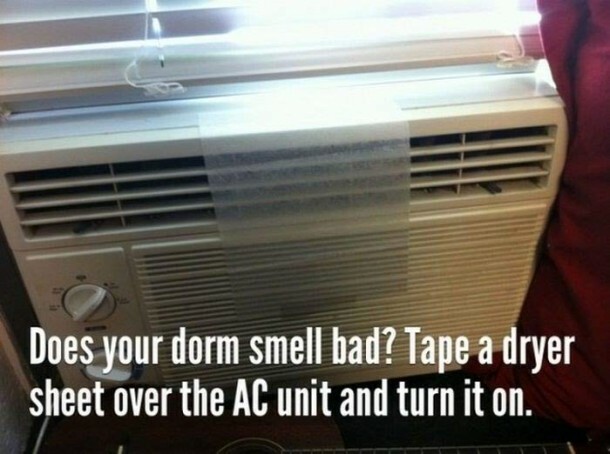 Tape up the dryer sheets on the AC unit and switch it on. After-wards smell the amazing fragrance. 1. Useful hack for your presentations. 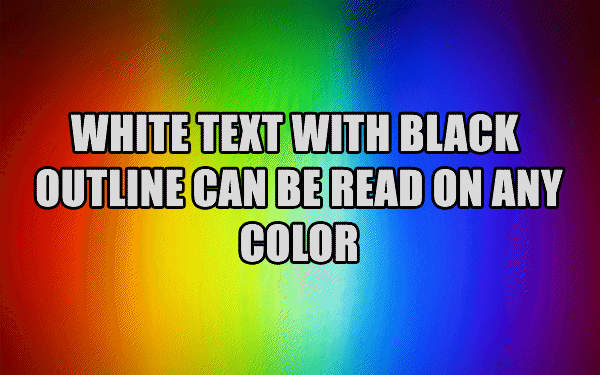 Give your white text a black outline, then it will be easy for you as well as for your audience to read it on any background.